When audiences first see West Side Story, their first instinct might be to label it just a ripoff of Romeo and Juliet. But, here's the thing. Romeo and Juliet was itself a "ripoff": Shakespeare based it on an Italian tale that had appeared in various forms, dating back to antiquity. There are even elements of Romeo and Juliet in Ovid's Metamorphoses. 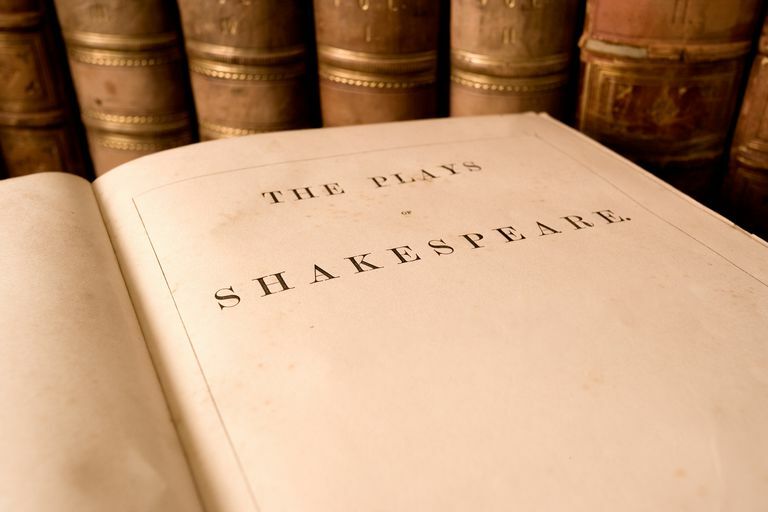 Shakespeare, in fact, borrowed almost all of his plots from other sources. But it's not the plots that make Shakespeare's works great, but rather the quality of his language and the richness of his characterizations. In theory, everything has been done before, so what really matters is execution. Some literary theorists posit that there are only really seven basic plots in all of literature, and the rest is all variations on the themes. This, of course, applies to musical theater as well. What follows here is a selection of musicals that have taken Shakespeare as inspiration, from direct adaptations to shows that take a looser approach to the Bard. The 2002 cast of "The Boys From Syracuse" (Matthew Peyton / Getty). The Boys From Syracuse was the show that started the Shakespeare plunder process: the first Broadway musical based on a Shakespeare play. In this case, it was The Comedy of Errors, which was itself based on a much earlier play The Menaechmi, or the Twin Brothers, by Plautus. Very little actual Shakespearean dialogue remains in George Abbott's book, even though it does not update the setting. The Comedy of Errors also has served as inspiration for such varied fare as Oh, Brother!, Da Boyz, and The Bomb-itty of Errors. When approached to provide the score for a musical version of The Taming of the Shrew, the great Cole Porter wasn't interested, at least not at first, since writing a period show would mean restricting his musical style. Someone had the bright idea to make The Taming of the Shrew the show within the show, freeing Porter up to write a score that was half period, half modern. Suddenly Porter was on board, and Kiss Me, Kate was born, in which sparks fly between a divorced pair of actors when they're cast in a musicalized version of The Taming of the Shrew. The opening scene in the 1961 film of West Side Story (Archive Photos / Getty Images). The original idea for updating Romeo and Juliet was to pit the Irish against the Jews in mid-century New York and call it East Side Story. But by the time librettist Arthur Laurents, composer Leonard Bernstein, and director/choreographer Jerome Robbins got around to creating the show, the idea of replacing the Capulets and Montagues with "American" versus Puerto Rican gangs was much more of the moment. In the Bard's version, the final tragedy is the result of miscommunication and bad luck. In West Side Story, the denouement arises from hatred and prejudice, shifting the message of the story to more pointedly critique factionalism and bitter rivalries - although it does allow one character to survive who Shakespeare did not, pointing towards a more hopeful future. Two Gentlemen of Verona is based on the Shakespeare play of the same name, and although it was reasonably well-received when it appeared, it is now virtually forgotten except with Stephen Sondheim fans. No, Sondheim didn't have anything to do with the show, but Two Gentlemen is infamous for beating out Follies for the Best Musical Tony Award. Follies has gone on to become one of Sondheim's most beloved shows, whereas Two Gentlemen of Verona has pretty much disappeared. The cast of Something Rotten at the 2015 Tony Awards (Kevin Mazur / Getty). Most of the musicals on this list take a Shakespeare play and directly adapt it in some way. In contrast, the 2015 musical Something Rotten! pokes gentle fun at the Bard by imagining a rivalry between rock-star Shakespeare and a hapless pair of brothers, Nick and Nigel Bottom. When they hire a soothsayer to predict what will beat Shakespeare once and for all, they end up inventing the musical. 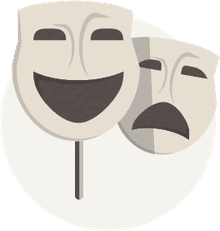 The original comedy has a pop-rock contemporary score and gleefully skewers countless musicals and Shakespeare plays, with references and jokes coming fast and furious in almost every scene. The Lion King marquee at the Minskoff Theatre (Stephen Lovekin / Getty). Not so much adapted from Shakespeare as inspired by, The Lion King shares many similarities with Hamlet in particular. In both pieces, a young prince has to deal with the unexpected death of his beloved father and the scheming machinations of his power-hungry uncle. Of course, the body count at the end of The Lion King is considerably lower than that of Hamlet, and the ending is decidedly more upbeat. The Lion King also is home to some of the best-known Disney songs, such as "Hakuna Matata" and "Circle of Life." The tagline for the musical All Shook Up read: "The story is all-new. The hits are all Elvis." That's not entirely accurate. The songs were certainly all Elvis Presley hits, but the story would be vaguely familiar to anyone who has seen Twelfth Night. All Shook Up is part of another Broadway tradition: the jukebox musical, in which a story is shaped around existing songs (usually from a specific artist's catalog). In a few cases, such as Jersey Boys or Beautiful, the show is biographical, but All Shook Up is more in the vein of Mamma Mia: a comedy designed to find moments to insert recognizable songs. At first, Lone Star Love was called The Merry Wives of Windsor, Texas. It should, therefore, be no surprise that the show is based on the Bard's The Merry Wives of Windsor. Lone Star Love was supposed to come to Broadway in 2007, and in fact, even secured the Belasco Theater for its Main Stem bow. However, during the show's out-of-town tryout in Seattle, there were rumblings of issues between the staff and the star, Randy Quaid. Quaid was later fined and banned for life by Actors' Equity for his alleged abusive behavior after the rest of the cast jointly filed a slew of complaints. Lone Star Love, meanwhile, has all but disappeared. The curtain call for Love's Labour's Lost at Shakespeare in the Park, 2013 (Paul Zimmerman / WireImage / Getty). A king and his cronies decide to take their studies seriously and vow to swear off women for the duration. Then a princess shows up with her ladies in waiting and romantic havoc ensues. Director/librettist Alex Timbers and composer/lyricist Michael Friedman took Shakespeare's Love's Labour's Lost and turned it into a musical by the same name. It was presented by the Public Theater in New York in 2013, and although it did not make the leap to Broadway, the score lives on in a cast recording. These Paper Bullets is a breezy sendup of Shakespeare's ultimate rom-com Much Ado About Nothing. Bullets updates the action to 1960s London and casts the various lovers and attendants with -- believe it or not -- a fictionalized version of The Beatles and their coterie. Or a credible simulation thereof. The songs are by Billie Joe Armstrong, who aims to capture the '60s guitar-band idiom.